Listened to the first Chronicles of Oz episode yet? No? Then you’d better get on with it, cause the second episode is coming just around the corner! Check out the trailer for Episode 2 of The Wonderful Wizard of Oz, featuring Kara Dennison, Aron Toman, Scobie Parker, Tom Denham, with Michelle Drinnan, Brett Underwood and David Nagel. Dorothy’s finally on the Yellow Brick Road and heading for the Wizard. But what new friends – and new dangers – is she going to meet on the way? Music, as before, by the very talented Tony Diana with Australian sound recording by Daniel Burnett, and design by David Nagel and Aron Toman. The Wonderful Wizard of Oz – Episode 1 Now Online! After a long anticipated wait, the first episode of The Chronicles Of Oz is now online and ready for download. Starring Kara Dennison as Dorothy, you can find the first part of The Wonderful Wizard of Oz as a downloadable MP3 from this very site. Or if streaming is more your thing, find us on YouTube or like us on Facebook. Check it out, and don’t forget to let us know what you think about this brand new series! The thrilling conclusion to The Angel of Blinding Light! Things have not been going well for Jayden in his first proper adventure in time and space. The entire population of the City of Blinding Light are under the control of the mysterious and carnivorous Angel, brought forth by the seriously disturbed Illias for his own twisted ends. Only Jayden remains immune, and even the Doctor can’t help him now. Can he save his friends as well as the people of Blinding Light from a lifetime of hypnotic servitude and lethal sacrifice? Wonder no more – the third and final installment of Doctor Who: The Angel of Blinding Light is now online. How will Jayden save the day? Does the answer lie with the Grim Reaper, or with the parrot-headed-umbrella-Computer? And at what cost will success come? 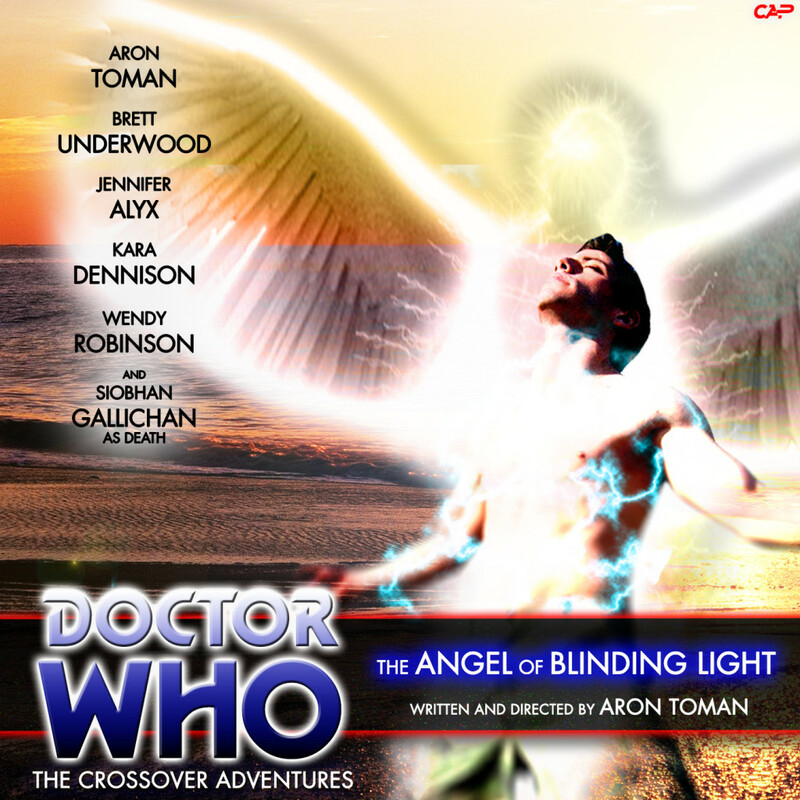 Episode 3 of The Angel of Blinding Light can be downloaded here, or available through iTunes. Slightly later than expected due to unforeseen circumstances (and let’s been honest, aren’t they always? ), the second installment of our latest Doctor Who adventure is now online! When we last left our heroes, the Doctor and Destina were investigating strange disappearances in the City of Blinding Light. Meanwhile, Jayden was being sacrificed by the creepy Illias to a mysterious Angel. Will the Computer be able to save him in time? Or is she still singing about the seaside? Why is the Grim Reaper hanging around? And what exactly is this Angel, and what does it have in store for the City? Answers to all these questions and more, in Episode 2 of Doctor Who: The Angel of Blinding Light. Download it here for free, or subscribe to us in iTunes! ‘Doctor Who: The Angel of Blinding Light’ Episode One Now Online! A glowing city. A doomed distress call. Mysterious disappearances. Orange oceans. And everything is so… alien! Yes, the Crossover Adventures are back again with the start of a brand new Doctor Who adventure! 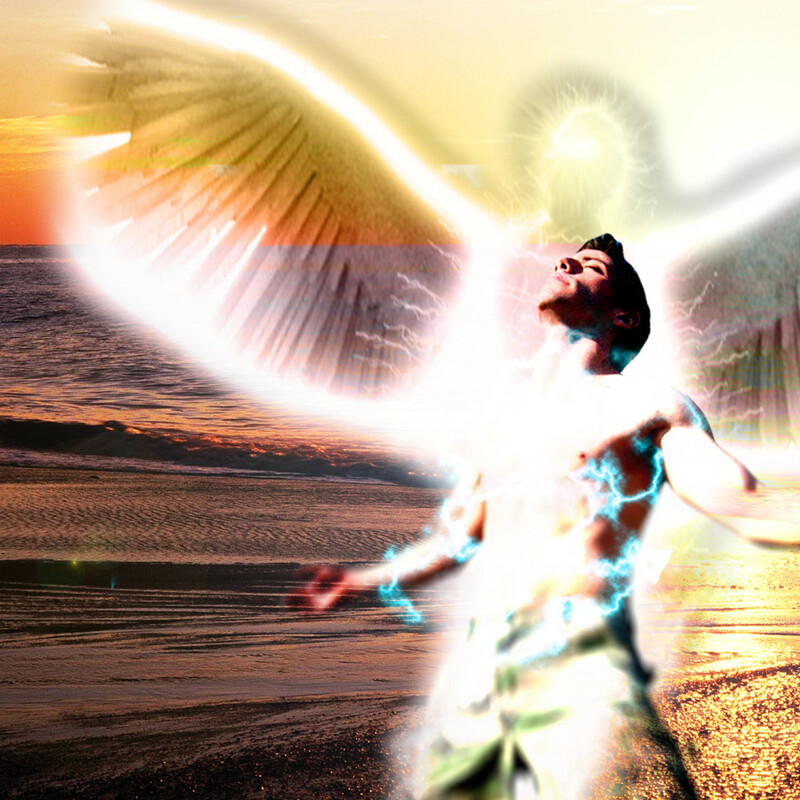 The first episode of The Angel of Blinding Light is now available for your listening pleasure! Featuring the return of all your favourite characters – Aron Toman as the Doctor himself, Jennifer Alyx as his Time Lady assistant Destina, Kara Dennison as the crazy Computer, Siobhan Gallichan as the enigmatic Death… and introducing Brett Underwood, making his debut as new companion Jayden, who finds things rather overwhelming in the City of Blinding Light. 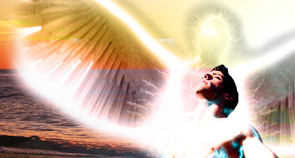 You can find this exciting new episode on the Angel of Blinding Light page as a free MP3 download. Or, subscribe to us on iTunes and get everything delivered directly into your portable media player of choice as it’s released. And don’t forget to like us on Facebook and let us know what you think.